(1) In the determination of his civil rights and obligations or of any criminal charge against him, everyone is entitled to a fair and public hearing within a reasonable time by an independent and impartial tribunal established by law. Judgment shall be pronounced publicly but the press and public may be excluded from all or part of the trial in the interests of morals, public order or national security in a democratic society, where the interests of juveniles or the protection of the private life of the parties so require, or to the extent strictly necessary in the opinion of the court in special circumstances where publicity would prejudice the interests of justice. (2) Everyone charged with a criminal offence shall be presumed innocent until proved guilty according to law. (a) to be informed promptly, in a language which he understands and in detail, of the nature and cause of the accusation against him. (b) to have adequate time and facilities for the preparation of his defence. (c) to defend himself in person or through legal assistance of his own choosing or, if he has not sufficient means to pay for legal assistance, to be given it free when the interests of justice so require. (d) to examine or have examined witnesses against him and to obtain the attendance and examination of witnesses on his behalf under the same conditions as witnesses against him. There is no directly corresponding provision in the EU Charter of Fundamental Rights. Article 20 – the right to equality before the law – is more related to ECHR Art.14, and Article 47, the right to an effective remedy and to a fair trial is based on Art. 13 ECHR which guarantees the right to an effective remedy for human rights violations. However, it has been argued before the European Court of Justice that Article 6 ECHR and Article 47 contain effectively the same fair trial rights (see David Hart’s post on this issue). The protection of Article 6 ECHR only extends to those disputes that concern a “civil right” (as well of course to the determination of any criminal charge against an individual). The jurisprudence on what does or does not constitute a “civil right” is complex and lengthy but a general rule is that the characterisation of the matter in domestic law is not determinative – Le Compte, Van Leuven and De Meyere v Belgium (1981) 4 EHRR 1 – and while such civil rights could be brought into play either by direct challenge or by administrative action, it was the nature and purpose of the administrative action that determined whether its impact on private law rights was such that a legal challenge involved a determination of civil rights. In R(Begum) v Tower Hamlets London Borough Council  2 AC 430 the House of Lords was prepared to assume that a decision as to housing for a homeless person did involve a “civil right” but in the more recent case of Ali v Birmingham City Council  2 AC 39 the Supreme Court confronted that question and decided that it did not. A parent’s rights to contact with, and custody of, a child constitute “civil rights” for the purposes of Art.6. This means that they must have a fair hearing before an independent and impartial tribunal. When a mother was refused access to her child by the local authority, and she was unable to challenge that refusal in court, there was found to be a breach of her Art. 6 rights (although the case was settled after it was declared admissible in Strasbourg: Application no. 11468/85, 15 December 1986). A more recent case against Croatia indicated that exclusion of a mother from the adoption (X v Croatia, 17 July 2008). Particular difficulties have been caused by the fast-changing Strasbourg case law on employment disputes involving public servants, which until recently have been excluded from the purview of Article 6. The Court decided in Pellegrin v France (2001) 31 EHRR not to allow administrative servants the guarantees of Article 6 because their employment involves important state imperatives, but defining this kind of employment is far from easy, as was demonstrated by the case of an army chaplain who sought redress for alleged unfairness; after considering the authorities Nichol J found that the claimant fell within the Pellegrin exception under the test laid down in Eskelinen v Finland (2007). See our discussion on this judgment here. The requirements of fairness imposed on Member States by this Article apply to civil and criminal litigation. Art.6 , taken as a whole, has been held to ensure not only a fair trial once litigation is under way but to impose an obligation on States to ensure access to justice (Golder v United Kingdom (1975) 1 EHRR 524: interference with a prisoner’s correspondence with a solicitor constituted a breach of his right of access to court under Art.6 , even though litigation was not pending). Most recent litigation has concerned the matter of costs; whilst the right of access to justice is implied in Article 6(1), the original case on costs, Airey v Ireland (1979), has not been interpreted to impose on states an obligation to provide a legal aid scheme. Legal aid constitutes one avenue to justice but there are others, such as the availability of representation under a contingent or conditional fee agreement. Legal representation is not considered indispensable in all cases. Where there are no particularly complicated points of law, the state is not compelled to provide a publicly funded lawyer (HH (Iran) v Secretary of State for the Home Department  EWCA Civ 504 ). In environmental challenges, on the other hand, the right of access to (affordable) access coincides with the obligation on states imposed by the Aarhus Convention to avoid prohibitive expense where individuals or groups ask the courts to enforce environmental law. The Aarhus Convention is part of EU law therefore may be relied upon in UK courts, until such time as the UK’s departure from the EU is finalised. The requirement that the trial be conducted by an “independent and impartial tribunal” is satisfied if an internal disciplinary appeals board consists equally of members of the relevant profession and members of the judiciary: Le Compte, Van Leuven and De Meyere v Belgium (1981)4 EHRR 1. At the Strasbourg level the most litigated requirement in Art.6 is the obligation on States to ensure that proceedings do not exceed a “reasonable time”. The circumstances of the case may determine the importance of expedition; in AIDS cases the Court’s approach has been stricter than in other areas, since the rapid dispatch of compensation claims is essential in respect to terminally ill patients (X v France (1992)14 EHRR 483). The Court has also take a strict approach to delay in child care cases where the child may have bonded with its new carers: H v United Kingdom (1987) 10 EHRR 95. 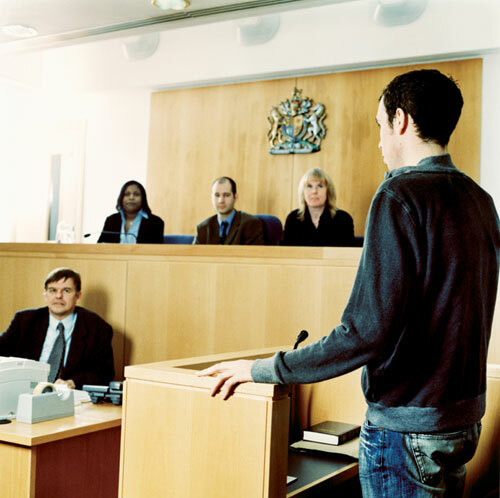 The requirement of a public hearing relates to proceedings in courts of first and only instance. The failure to provide a public hearing will not be cured by making the appeal proceedings public where the case is not reheard on its merits: Le Compte . If the initial hearing (eg by a regulator) does not fulfil the requirements of independence and impartiality, appeal may cure the defect: Bryan v United Kingdom (1996). In any event if the matter is essentially one of policy, the detailed requirements of Art.6 do not necessarily apply: see the House of Lords ruling in Alconbury (2001) and the line of cases preceding the House of Lords’ analysis in R(Begum) v Tower Hamlets London Borough Council .In many administrative fields, such as planning, an administrator may be decision-maker, and not “an independent..tribunal” within the meaning of Article 6(1), but the process will be Article 6(1) compliant, if an aggrieved party has a right of appeal or review from that decision before such a tribunal.